Pre Wedding and Cocktail Hour - Black Sand Coffee Co. 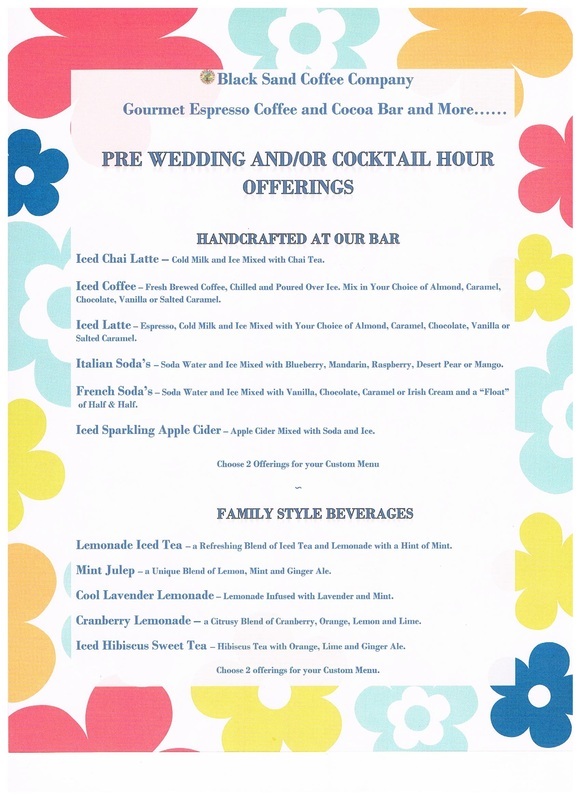 Custom Pricing available for our Pre Wedding and/or Cocktail Hour Service. Call 805 320-5689 for your quote.